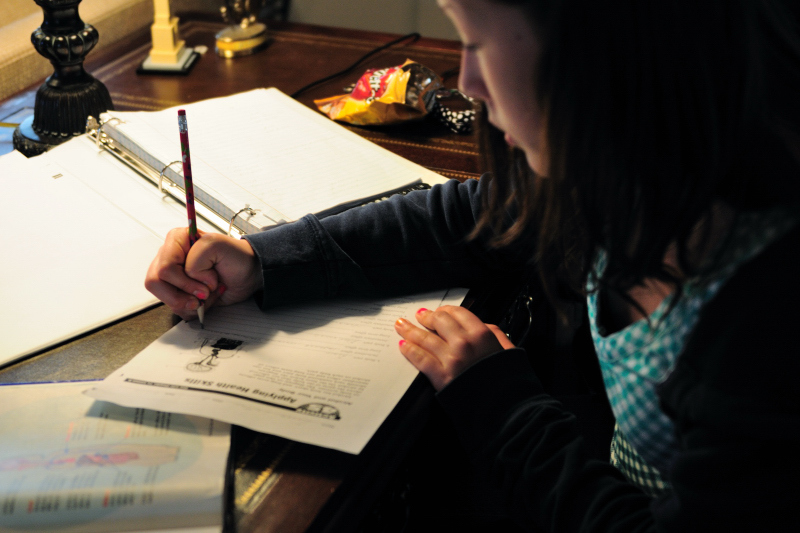 Normally, Erica finishes her homework at school, but today she had a heavy load of it and worked on it at home. This gave me the opportunity to reach back into the recesses of my brain to remember math functions and linear equations. Remember slope and y-intercepts? Fortunately, we do encounter them at work and I was able to explain them to Erica and help her complete tonight's math homework. I can't wait to re-live Calculus. Really. Yeah, I'm a geek. I love this picture! The lighting, your daughter's concentration, her grip on the pen. You captured the moment beautifully Shirley!